After months on the auction block, Novell will be put out of its misery and sold within the next three weeks, according to credible sources. The only question is, why it has taken so long? 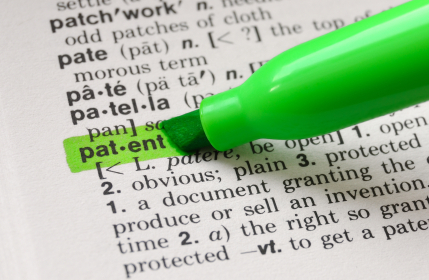 The answer, according to a source close to the company, is patents. Big, juicy patents. After all, there’s no real mystery to Novell’s (S NOVL) business (see disclosure below). Most of its legacy product portfolio is just that: a legacy of a bygone era when Novell was king of the networking hill, with a suite of services built up to sustain and advance that leadership. Products like GroupWise and Zenworks, renamed and reorganized constantly to make them appear fresh and new, have mainly sat on the shelf, as financial results demonstrate, quarter after quarter. The crown jewel — Novell’s SUSE Linux business — has never gotten the mileage it deserved, shackled by Novell’s weak corporate brand. It was propped up only by a desperate deal with Microsoft (s msft) that cut SUSE’s appeal to the very technical crowd that was best positioned to help Novell stage the bottom-up coup into corporate computing that Red Hat (s rht) has enjoyed. Microsoft topped up its Novell deal once for $100 million, but has shown no signs of doing so again. Nevertheless, there’s still plenty of strategic value in Novell’s Linux business, but perhaps even more in its patent portfolio. Novell has a rich and varied patent portfolio that touches on everything from core networking technology to office productivity suites and beyond. Novell has patents that cut to the heart of Microsoft’s Office business. Indeed, it has patents that cut to the heart of many different businesses. This is why Red Hat has remained interested in Novell, despite a lack of competitive threat from SUSE. At all. In a world of rough-and-tumble patent litigation, Red Hat can’t continue to bring vague rally-the-troops, anti-patent jingoism to a knife fight. Yes, it has done well to support the Open Invention Network and other patent collectives, but having its own defensive patent war chest would go a long way toward securing its thriving Linux, virtualization, and middleware businesses from latent patent suits. The problem, however, is valuing that patent portfolio, especially in light of the dwindling value in Novell’s other assets. No one wants to pay a premium for Zenworks, for example, simply to get the associated patents, but a buyer may not have much of an option. Not directly, anyway. VMware sells virtualization and cloud services, not operating systems, but it increasingly depends upon Linux and already works with Novell to virtualize SUSE and distribute it to VMware customers. Buying SUSE wouldn’t give VMware the developer outreach it’s sought in its Springsource, Zimbra, and RabbitMQ acquisitions, but it would give VMware a very solid Linux distribution that’s well-engineered and brings with it industry-wide ISV certifications. It’s possible that VMware (or another buyer) could buy Novell’s patent-poor Linux business, leaving a private equity firm or other buyer to take over the remainder of Novell’s business, including its significant patent portfolio. However, until the parties involved can figure out how to fairly price the rising value of Novell’s patent portfolio combined with the decreasing value of its product portfolio, no deal will be consummated. Disclosure: I was part of Novell’s original Linux Business Office and now work for a rival, Canonical. Yeah, right. They would be trading the good SUSE name for the terrible Novell one. That makes real sense. You make the assumption that Novell’s patents are actually worth something. Based on my own investigations of patents held by a wide variety of tech firms, most patents are over valued. In fact 9 out of 10 patents is probably worthless. I haven’t read the Novell patents yet. The 9 out of 10 being worthless is however what I’ve seen when reading patents by other tech companies, and I think that it is probably representative.